Research shows that students who transfer from community colleges to 4-year institutions are more successful than their peers, across all institutional levels. Logically this means that universities should admit community college students if they want to improve graduation rates. However, in actuality, these students represent the smallest sector of the incoming class. Over the next few weeks, we’ll examine this discrepancy and try to identify how community colleges can enable more of their students to transfer to 4-year institutions. According to the American Association of Community Colleges, community college enrollment accounted for over 40% of all US undergraduates, representing over 12 million students. 1. Provide students with a low cost, accessible way to begin their higher education journey. 2. Teach students foundational skills that can lead to career-focused education. 3. Allow students to complete an associate degree and/or transfer to a 4-year institution. The importance of this last point cannot be discounted. In 2016, over 400,000 students transferred from a community college to a 4-year institution. Starting out at a 2-year institution can be a practical option for those who can’t afford or aren’t qualified to enter a 4-year institution right away. What’s more, these students have proven to be more successful than their peers. According to a study done by the Jack Kent Cooke Foundation, community college students who transfer to 4-year institutions perform better than their peers who arrive directly from high school. While the 6-year graduation rate for students who transferred from community colleges in Fall 2010 was 75%, the graduation rate for students who enrolled directly out of high school was 73% and only 61% for those who transferred from other 4-year institutions. As the chart below illustrates, community college students outperform direct and 4-year transfer students across all levels of institutional competitiveness. In addition, community college transfer-students have near equal 1-year retention rates to students enrolling from high school, and higher 1-year retention rates than those students transferring from other 4-year institutions. There are several factors that may contribute to the success of these students. For example, navigating the transfer process requires a combination of academic ability and determination. These traits are extremely useful and may help students succeed post-transfer. Transfer students may also be older, more mature, and more inclined to complete their degree as they have already invested significant time and effort into it. Finally, these transfer students are often the top of their class and represent the “best of the best” of community college students. That being said, community college transfer students are underrepresented. Even though students transferring from community colleges are more successful than students coming directly from high school or other 4-year institutions, a very small number of community college students actually make this transition. The 400,000 students who transferred from community colleges to a 4-year institution in 2016 only represent 15% of the entering class. Socio-economic factors are significant contributors to this discrepancy. For example, students enrolled at community colleges are 3 times as likely to come from lower-income families than those at a 4-year institution. 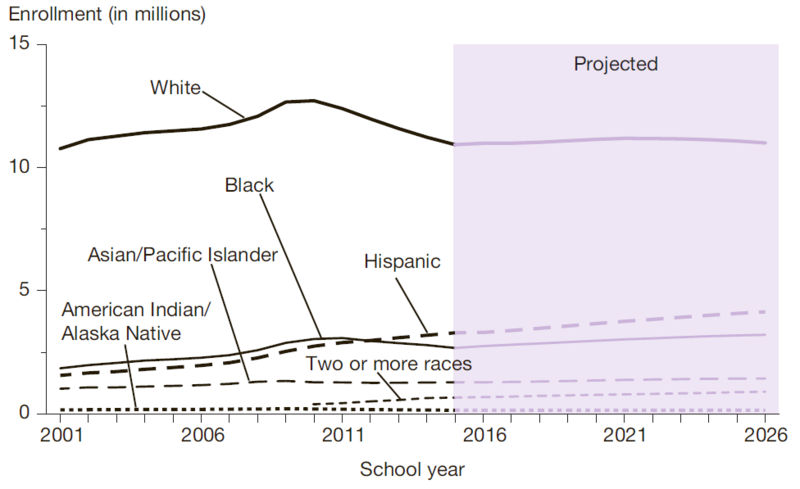 In addition, community colleges are critical access points for students from racial and ethnic groups who have been historically underrepresented in higher education. According to College Board Research, 56% of all Hispanic undergraduates and 44% of all Black undergraduates attended community colleges in 2016. The importance of community colleges will only increase as the U.S. (and the world) becomes more diverse. While it is clear that community colleges students are more successful than their peers once they make the switch to a 4-year institution, a large proportion of these students simply do not get the opportunity to do so. As stated earlier, one reason for this discrepancy can be attributed to socio-economic factors. To combat this however, institutions can implement certain policies and resources to better serve students and enable them to be successful. In our next blog, we’ll dig deeper into some of these policies and examine what community colleges can do to enable student success.